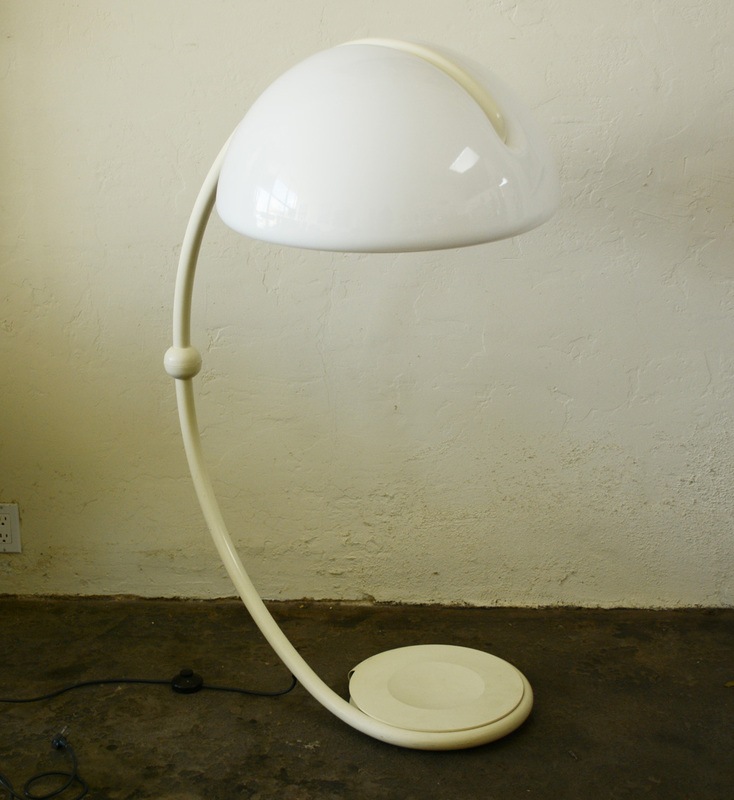 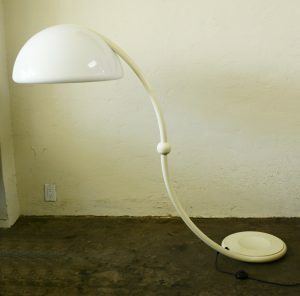 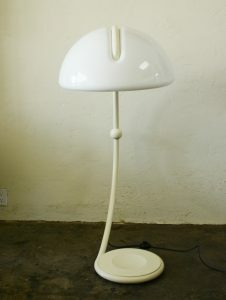 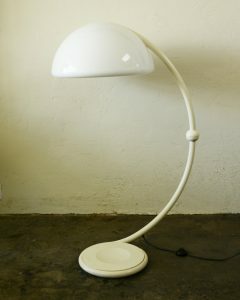 Classic lamp design by Elio Martinelli. The top half of this lamp pivots 360 degrees creating many different looks. 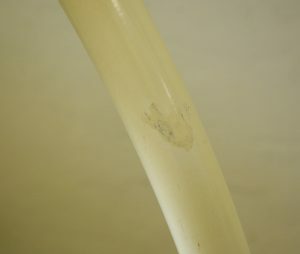 This has some wear in spots to the paint and one touched up spot. 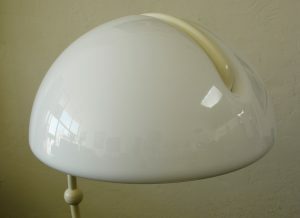 The acrylic shade has minor wear and a couple of small deeper scratches in the front that are not readily noticeable. 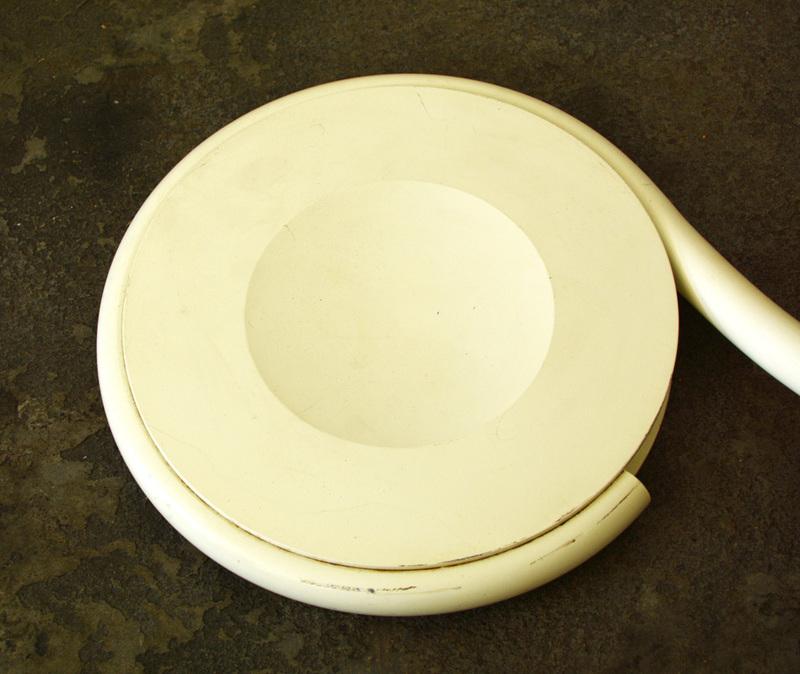 We can have the lamp powder coated in any color at an additional cost.